Just a few of the items you can check out at the Capital Area District Library's "Library of Things." We think of borrowing from a library and what comes to mind? Books. DVDs. CDs. 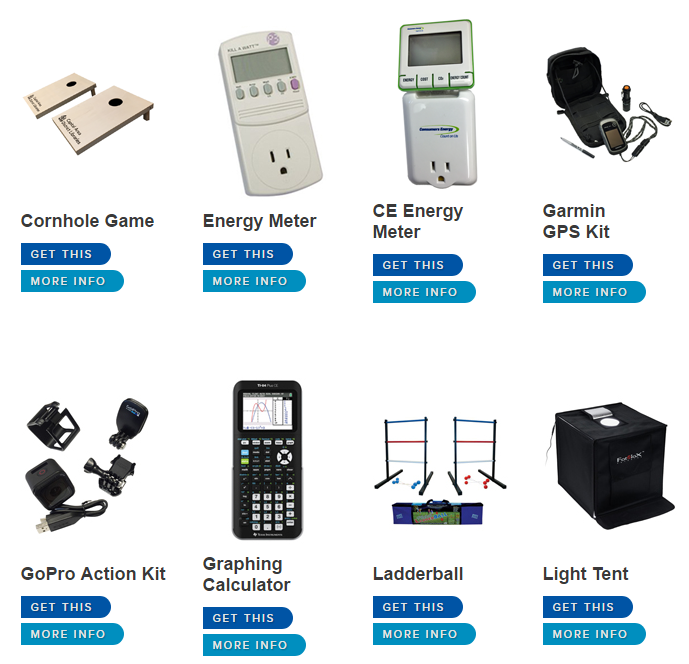 Now, through the Capital Area District Libraries in Lansing, you can check out a badminton set, a GoPro camera, a thermal leak detector or even a sewing machine. Those are just some of the items that they have available in the CADL's Library of Things. Jolee Hamlin, the senior associate director of public service at Lansing's Capitol Area District Libraries is overseeing the collection and she joined Stateside to talk about the criteria that they used choosing the items in the Library of Things. "Is it sort of a high cost item for a person or family to buy? If it is, that was something that may be of interest to us because we wanted to appeal to the idea that 'yeah, maybe I want a sewing machine, maybe I either want one but I'm not positive and that's going to cost me a few hundred dollars, or maybe I could just use it one time. I could use it for a couple weeks and do a project,'" Hamlin said. "If it hit that sweet spot of something that ... might be a stretch for someone to buy but that it also was a good fit for a one-time use, that had some appeal to us." According to Hamlin, they aren't the only library who are offering "things" to borrow to the community (Ann Arbor District Library also has "Unusual Stuff to Borrow"). Different libraries have different approaches when it comes to the offerings that they have. The CADL chose to make more STEM-based items available. Listen to the full interview to hear about what "outside the box" items are the most popular and what advice she has for other libraries looking to start their own Library of Things. Stateside's conversation with Jolee Hamlin, the senior associate director of public service at Lansing's Capitol Area District Libraries. The Next Idea is Michigan Radio's project devoted to new innovations and ideas that will change our state. Join the conversation on Twitter or Facebook, or let us know your Next Idea here. 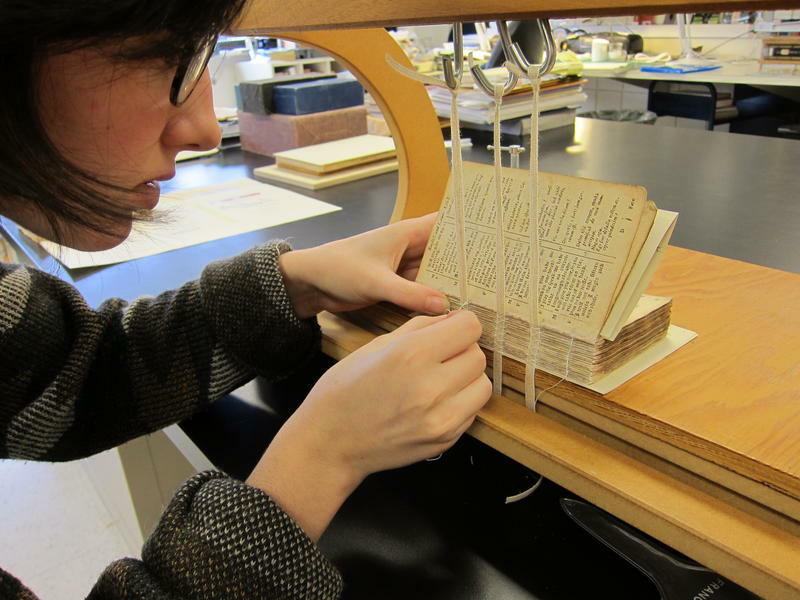 Stateside's conversation with Shannon Zachary, the head of Preservation and Conservation at the University of Michigan Library. Your grandparents' wedding picture. The letters your dad wrote home while he served in World War II. Your great-grandfather's citizenship papers. These are precious links to our history. History is not so much about the "big names." It's more about what happens to everyday men, women and children. But how many of us know how to preserve these treasures, whether digital or on ancient paper? Adult coloring books are everywhere and they're filled with images of just about anything. There are adult coloring books that feature owls, butterflies, secret gardens, dream doodles, lighthouses, mandalas, kaleidoscopes and fantastic cities. 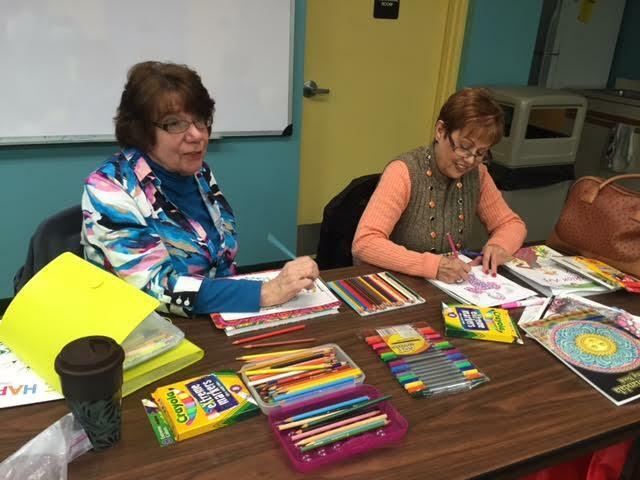 Adult coloring clubs are also popping up throughout the state. They’re often affiliated with a local library. The basic idea is that for an hour or two adults can drop in and spend some time coloring, using coloring books and markers and pencils that the library provides.